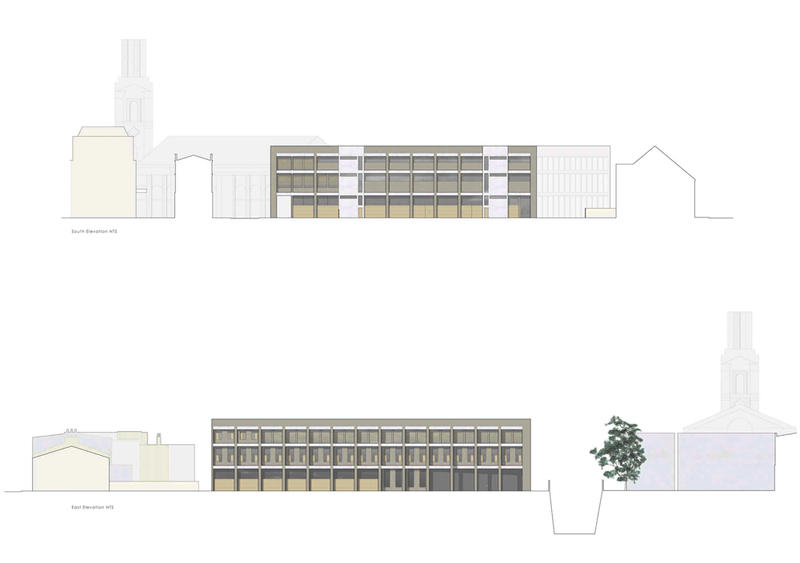 The design changed hugely over a relatively small period of time; but the primary concept of the inside’s relationship to the outside is still evident in the final drawings. 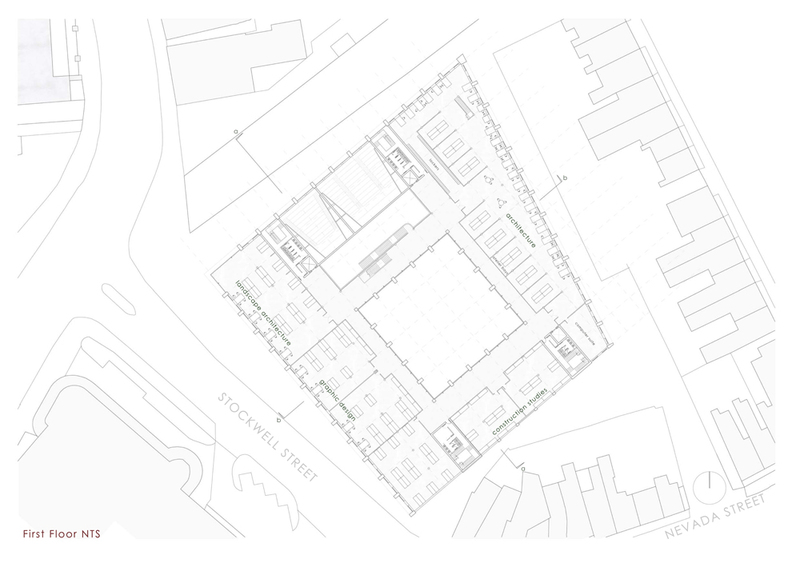 It is particularly noticeable in the elevations and the details which have been shown in other posts. 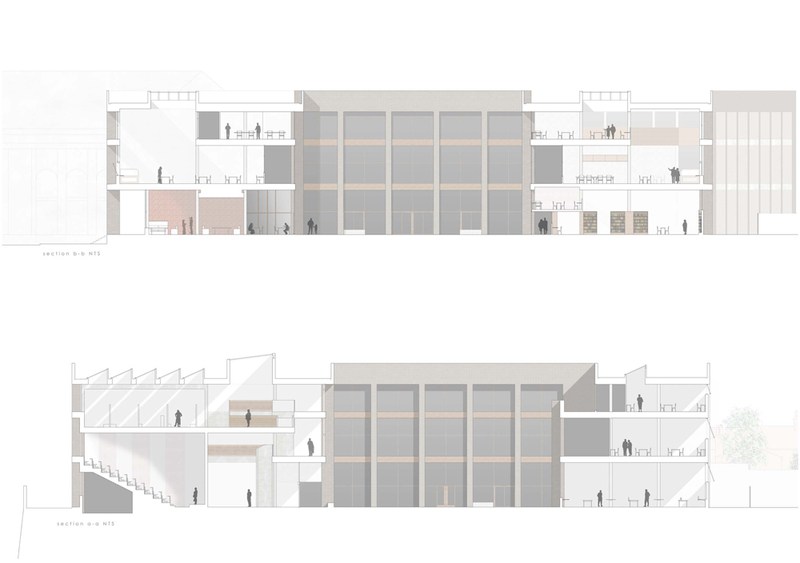 The critique spaces overlook the main circulation area and lecture theatres to promote integration and interest between the different faculties of the school (the brief called for graphic design, construction studies and interior design studios for the school as well as architecture.) 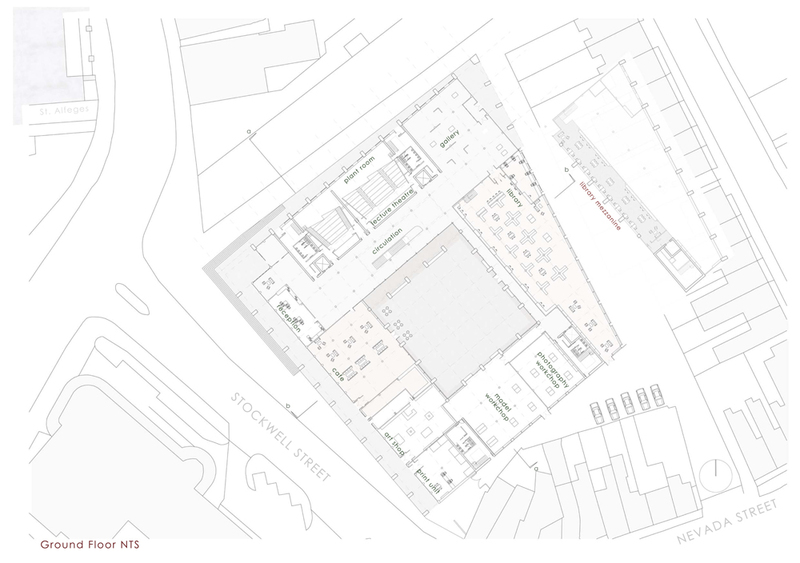 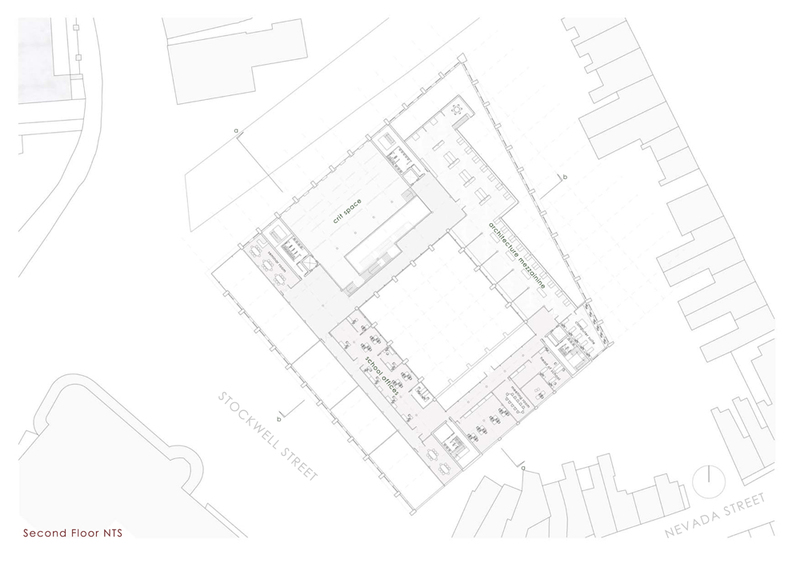 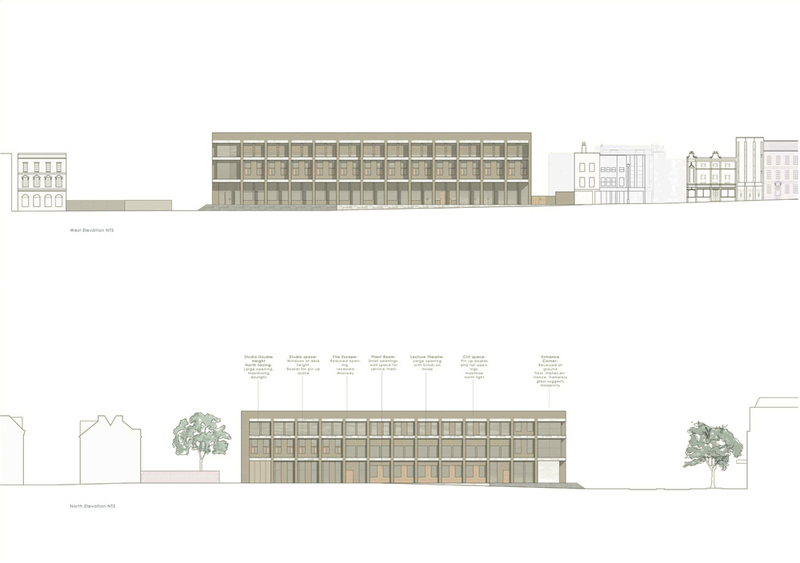 The architecture studios allow for subtle divisions in an otherwise open planned layout to accommodate the atelier style tutoring typical of Greenwich University’s architecture programme.